Birthdays are, for many people, significant occasions on which to gather with their family and friends. Particularly for the young, birthdays are especially festive moments to play games, eat cake and ice cream, and receive gifts. Parents go to great lengths to ensure their children have an enjoyable birthday as they recall with gratitude the day they first heard the voice of their son or daughter. Holy Mother Church, on the other hand, only rarely celebrates the birthdays of her children, at least as we normally think of them. Obviously, we celebrate the Nativity – the birth - of Christ Jesus on December 25th, but he is the Church’s founder, not one of her children. The Church celebrates the birth of the Blessed Virgin Mary on September 8th, but she is the image and model of the Church; indeed, she is the Mother of the Church, as the Holy Father Pope Francis recently reminded us. Today’s solemnity of the Nativity of Saint John the Baptist is unique in the liturgical life of the Church; of all the saints, only birth is accorded the rank of a solemnity. Recalling the full extent of Saint John’s life, one Scripture scholar has called him “a glorious failure,” a curious phrase to be sure, though not untrue. After John was born, his mother’s “neighbors and relatives … rejoiced with her;” presumably his father’s relatives also rejoiced with him, but Luke does not give us this information (Luke 1:58). “Fear came upon all their neighbors” when Zechariah’s tongue was finally unleashed so he could bless God (Luke 1:65; cf. Luke 1:64). As the people considered the unusual – and miraculous – circumstances of John’s birth, they asked, “What, then, will this child be?” because they knew “the hand of the Lord was with him” (Luke 1:66). Their wonder at the Baptist did not decrease with the passage of years. The crowds went out to see John from “all the country of Judea, and all the people of Jerusalem” (Mark 1:5). They went out to the river Jordan to hear his preaching, which consisted of two simple messages: “Prepare the way of the Lord, make his paths straight” and “He must increase, but I must decrease” (Luke 3:4 and John 3:30). A great many of the people heeded his preaching and “were baptized by him … confessing their sins” (Mark1:5). Yet others did not heed his preaching, like King Herod, who “was much perplexed” by John’s words, “yet he heard him gladly” (Mark 6:20). Saint John taught them how to live a moral life and so to prepare themselves to welcome the Messiah, “the Lamb of God, who takes away the sin of the world” (cf. Luke 3:10-14; John 1:29). They liked what he said, but they would not follow it. For those caught in the mire of sin, the truth is both confusing and pleasurable. Herod liked listening to John because he knew he spoke the truth, even if Herod would not yet bring himself to turn from his sinful ways. It is not all that different in our own day. Even so, the glory of Saint John the Baptist is not to be found in the attraction of the crowds or of royalty. It is, rather, to be found in his unrelenting efforts in preparing the way for the Lord Jesus, even to the point of offending the ruling class of Judea because of his public and verbal witness to the truth and dignity of marriage. As an authentic prophet, John bore witness to the truth without compromise. He denounced transgressions of God's commandments, even when it was the powerful who were responsible for them. Thus, when he accused Herod and Herodias of adultery, he paid with his life, sealing with martyrdom his service to Christ who is Truth in person. It is in the loss of his head that we see the glory of Saint John the Baptist and why we can say he is “a glorious failure.” In the eyes of this world, he failed because he did not convert the hearts of all who heard him; in the eyes of the Church, however, his life is glorious because he never shied away from leading them to Jesus, even at great cost to himself. John was not afraid to decrease so the glory of Jesus might be better known. If Saint John the Baptist spoke out so clearly against adultery in defense of marriage, one can only guess what he would be crying out today along our rivers. He was not afraid to let his voice be used for testimony to the Truth, for testimony to Jesus Christ. For what do we use our voices? If we are honest and set our politics aside and begin to look at each again his human beings made in the image and likeness of God, we will readily see a myriad of areas of our society that would lead Saint John to cry out, “Even now the axe is laid to the root of the trees; every tree therefore that does not bear good fruit is cut down and thrown into the fire” (Matthew 3:10)! How many issues today – from adultery to false marriages to contraception to abortion to divorce to greed to inhospitality and fear of the stranger – to warn us of the Second Coming of the Messiah, crying out, “His winnowing fork is in his hand, to clear his threshing floor, and to gather the wheat into his granary, but the chaff he will burn with unquenchable fire” (Luke 3:17). 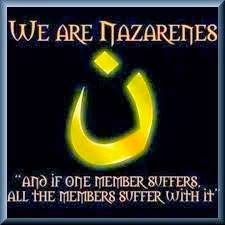 In the face of such atrocities, you and I, dear brothers and sisters, cannot remain silent; we, too, must place our voices at the service of the truth and in the service of the love of God and of neighbor. Like John, if we speak about God’s truth boldly and continue to point toward Jesus, we are going to provoke opposition in this world from those who don’t want to hear it because it doesn’t suit their agenda. It may mean the loss of income, employment, possession and life. We’ve got to maintain an eternal perspective: God has a plan for each of us that began before our birth and extends beyond our death. The goal is not visible success in this life. It’s covenant fidelity (hesed) toward the one who is greater than us, whose sandals we are not worthy to tie, but nonetheless promises to “raise us up on the last day” (John 6:40). Can there be any doubt that our society is in great need of conversion? Who will be its heralds if not you and me? The pages of history are filled with many examples of saints whose witness, courage, and love reshaped their societies. Yet its pages are also filled with many examples of saints whose witness, courage, and love did not reshape their societies, as seems to be the case in our day. Saint Augustine continued to call men and women to the truth even as the Roman Empire collapsed around him in the midst of glimpses of the final victory of Jesus Christ. Consequently, his life, too, might be said to have been a glorious defeat because his witness and wisdom continues to teach us today how to follow Christ faithfully and fully. Like Saint John the Baptism, then, together with Saint Augustine and so many others, may we never be afraid to raise our voices in the face of seeming long defeat, but let us fight it together. Let us, rather, take comfort in the glimpses of Jesus’ victory he allows us to see and raise our voices loudly and clearly in the service of the truth and love. Let us take courage in the example of Saint John the Baptist and never fear our lives becoming glorious failures for Jesus Christ. Amen. Saint Augustine of Hippo, Sermon 293.1. John Bergsma, “Birth of a Glorious Failure: The Nativity of John the Baptist,” The Sacred Page: A Blog on the Bible and Catholic Theology by Michael Barber, John Bergsma, Brant Pitre, and John Kincaid, 21 June 2018. Available at http://www.thesacredpage.com/2018/06/birth-of-glorious-failure-nativity-of.html#more. Accessed 22 June 2018. Pope Benedict XVI, Angelus Address, 24 June 2007. J.R.R. Tolkien, Letter to Amy Ronald, 15 December 1956. Ibid., The Fellowship of the Ring: Being the First Part of The Lord of the Rings (Boston: Houghton Mifflin Company, 1994), 348. 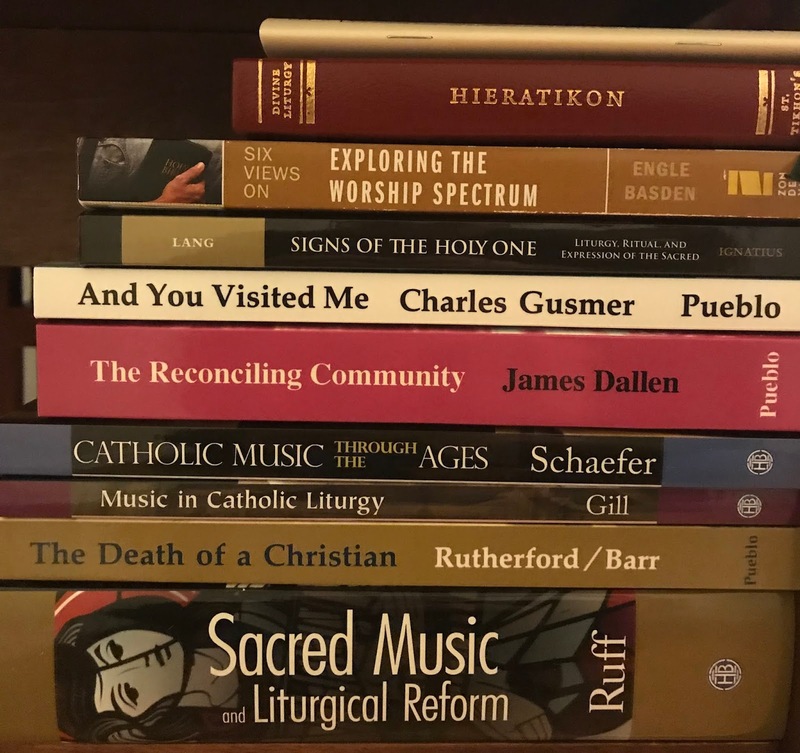 Yesterday I began my second of five summer sessions at The Liturgical Institute in Mundelein, Illinois to continue my studies in pursuit of my fifth academic degree, a Master of Arts (Liturgical Studies) which will better help me serve as Director of the Office for Divine Worship and the Catechumenate. Normally summers this far north are nearly idyllic, but the weather thus far (I arrived Sunday evening) has been a bit chilly and very cloudy. Liturgical Traditions: East and West: This course provides a comprehensive introduction tot he rites and practices of non-Roman western Christian traditions (Anglican and other select Protestant groups), and to the liturgy as celebrated by eastern Christian communities (both Catholic and Orthodox). The origin and historical development of these traditions is considered. Particular attention is given both to distinctive theological themes within these rites and to the manner in which the renewal of western Catholic liturgy is occurring today as a result of contact with the theology and practice of the East. Ritual, Symbol, and Worship: Symbol is the fundamental medium for religion and its ritual elaboration. The nature and function of symbol and ritual liturgical worship is considered. The following are examined for their relevance to the understanding of Catholic worship: the phenomenology of religion; ritual anthropology; various theories of symbol; language theory. Particular attention is given to the manner in which modern symbolic studies provide an understanding of the scholastic maxim, "sacraments confer grace by signifying." Reconciliation, Anointing, and Death: The two "sacraments of healing" - anointing of the sick and penance - are covered in this course. An examination of the origin and development of the sacrament of penance sheds light on the Church's revised rites and their theological underpinnings. The rites of the Church's sacramental ministry to the sick and dying, and her funeral liturgy, are placed in the context of an anthropology which expresses the paschal character and eschatological significance of a Christian's illness and death. Music and Worship: The place of music in human culture is examined from the perspective of a philosophy of aesthetics. the historic role of music in the elaboration of the mysteries of the Christian faith is explained. The official documents of the Church produced during the twentieth century are discussed in detail. 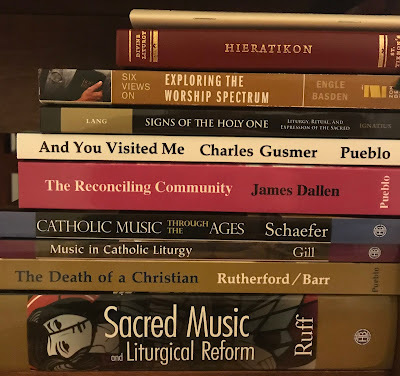 The current musical structure of the Roman liturgy is explored, and practical principles for the advancement and management of liturgical music programs are proposed. Despite the course load, the summers here are good; the professors are friendly and knowlegable and my fellow classmates are a delight. Just a few moments ago, we prayed to God asking for the grace to “discern what is right, and by your guidance do it.” This honest prayer seems to take its inspiration from the words of Saint Paul when he says, “although our outer self is wasting away, our inner self is being renewed day by day” (II Corinthians 4:16). What does it mean for the outer self to be wasting away? The renewal of humankind, begun in the sacred bath of baptism, proceeds gradually and is accomplished more quickly in some individuals and more slowly in others. But many are in progress toward the new life if we consider the matter carefully and without prejudice. In this assessment of the renewal of humanity, Saint Augustine, of course, is right. Some of us discern the Lord’s will without difficultly, but willingly refuse to follow it. Others of us discern the Lord’s will without difficulty, and grudgingly follow it. Still others of us discern the Lord’s will without difficulty and gladly embrace it. Others, yet, discern the Lord’s will only with great difficulty and follow it with greater difficulty still. Why is this the case? The answer may be concealed within the passage we heard from the Book of Genesis. When our first parents realized they were naked, they hid themselves when God called out to them (cf. Genesis 3:10). Saint Augustine calls this decision to hide from God “a wretched error, as if a naked man, as God had made him, could be displeasing to him. It is a distinguishing mark of error that whatever anyone finds personally displeasing he imagines is displeasing to God as well.” There is, however, something much more profound behind this decision to hide from God than a simple shame of the physical body. Before [Adam] was naked of any dissimulation [i.e., concealing under a false pretense] and clothed with the divine light. From this light he turned away and turned toward himself. This is the meaning of his having eaten from that tree. He saw his nakedness, and it was displeasing to himself because he did not have anything of his own. This turning away from the light of God’s Face and turning toward ourselves is indeed the greatest of human errors, and one in which our contemporary society excels. The more we attempt to grab what we do not have and to hide from the light of God, the less able we are to discern his will and do it. And the less we follow his will for us, the less happy we will be. This is a simple fact of life. The great saints have shown us time and again, down through the centuries, the way to happiness. Rather than growing despondent because they had nothing of their own, they chose not to hide from God but instead to bask in his light. They were able to discern the Lord’s tender love for them precisely when they realized they were naked in the sense that they had nothing of their own; everything we have, they knew, is a gift from God. They accepted as a blessing what others saw as a limitation; they turned outward from themselves and toward the Lord to discern his will and they followed it in love. When a new pastor arrives in a parish, many of the parishioners wonder what program he will enact. The only program, if you will, which I hope to enact is to help you prepare to see the face of Christ more clearly, to help you draw near to him and bask in the light of his face, a light which can transform us and make us like himself. I hope to help you seek the Lord not in curiosity, but in love, to not only hear his voice speaking in the quiet of our hearts, but to see his face and become witnesses of his majesty and to take your places within the Father’s house. This remains my goal, my vision, for this parish and I have every confidence it can be attained because “we have a dwelling not made with hands, eternal in heaven” that is waiting for us, if we remain faithful to Christ (II Corinthians 5:1). Indeed, the purpose of a parish is to help each of us discern the Lord’s will and do it, so as to enter into the eternal life promised to the faithful in the waters of Baptism. In these waters, we are bound together to help each other turn, not toward ourselves, but toward the Lord, to let the Lord’s light shine upon us. When Bishop Paprocki formally installed me as your Pastor ten days after I spoke those words to you, he reminded us all that priests “need the help and cooperation of all parishioners. To be able to put into practice the mission of Jesus,” he said, “we need to be part of a team supporting each other.” We have to be on the same team to help each other discern the Lord’s will for us and do it, both as individuals and as a parish. To this end, I have asked the members of the Pastoral Council and the Finance Council to visit with each adult member of the parish for what might be called one-to-one conversations. The purpose of these conversations is simple: to build a relationship between individuals and the parish, to discover interests, to provide clarity, and to obtain information. In other words, the goal with these conversations is to find out – if I might put it a bit crassly – what you like about the parish, what can be improved, what you would like to see the parish doing, and how you might like to help the parish. While you are not required to participate in these conversations (some of you might now be thinking, “He is out of his mind” [Mark 3:21]), I certainly hope you will welcome the opportunity to visit with a fellow parishioner, to share your dreams for this parish, and to help us discern the Lord’s will for us. Our goal is to visit with each adult parishioner, both active and inactive, for about thirty minutes. Last week, the council members each received a list of five parishioners to try to visit with over the course of the next six weeks. Once this first round is completed, they will gather together again with me to share a sense of what they heard. They will then go out to the other active parishioners and, once every active parishioner has been heard, they will try to visit our inactive parishioners. All of this is a way we can help each other progress toward the new life of Christ Jesus, to turn away from ourselves and towards him. Let us, then, help each other discern the Lord’s will and do it, so that, as his brothers and sisters who have done his will, we might together behold the loveliness of his Face in the Father’s house (cf. Mark 3:35; John 14:2-3). Amen. Collect for the Tenth Sunday in Ordinary Time, Roman Missal. Saint Augustine of Hippo, The Way of Life of the Catholic Church, 1.35.80. Saint Augustine of Hippo, Two Books on Genesis Against the Manichaeans, 2.16.24. Reverend Daren J. Zehnle, Homily for theFeast of the Transfiguration of the Lord, 6 August 2017. Most Reverend Thomas John Paprocki, Homily, 16 August 2017. What is the face of God like? As his image, certainly, for as the apostle says, the image of the Father is the Son. With this image, therefore, may he shine upon us, that is, may he shine his image, the Son, upon us in order that he himself may shine upon us, for the light of the Father is the light of the Son. He who sees the Father sees also the Son, and he who sees the Son sees also the Father. Where there is no diversity between glory and glory, there glory is one and the same. The readings from Sacred Scripture today present for us two covenants, the first being a foreshadowing of the second and the second being the fulfillment of the first. The first of these covenants was sealed with the blood of bulls; the second with the blood of the Son of God. Why were these covenants sealed in this way? It was on Mount Sinai, after the experience of the Exodus from Egypt and after receiving the law from the Lord, that the people answered Moses, saying, “We will do everything that the Lord has told us” (Exodus 24:3). They remembered the good deeds the Lord had done for them and responded in kind. Moses then “took the blood and sprinkled it on the people, saying, ‘This is the blood of the covenant that the Lord has made with you in accordance with these words of his’” (Exodus 24:8). It was blood that sealed the covenant between God and man, but why blood? Why sprinkle blood on the altar and on the people? The Lord said to Moses, “For the life of the flesh is in the blood; and I have given it for you upon the altar to make atonement for your souls; for it is the blood that makes atonement, by reason of the life” (Leviticus 17:11). Nothing more valuable than blood could be given to God, yet the blood of bulls and sheep lacked the power to fully atone for the sins of humanity, and so it had to be offered again and again and again (cf. Hebrews 10:4). It is against this background that the Lord Jesus gathered with his Apostles in the Upper Room to celebrate the Passover, the Exodus from Egypt. He gave the cup to them, saying, “This is my blood of the covenant, which will be shed for many” (Mark 14:24). With his own blood he seals the new covenant, “once for all,” and gives himself to us so we “may receive the promised eternal inheritance” (Hebrews 7:27; cf. Hebrews 9:15). In giving the Eucharist to us as our food and drink – his very Body and Blood, Soul and Divinity – the Lord Jesus anticipated his death on the Cross and gave each of us a share in it, not only in his death, but also in his Resurrection. For this reason, he says, “I am the living bread that came down from heaven; whoever eats this bread will live forever” (John 6:51). In the Eucharist, he has given us “a pledge of this love, in order never to depart from his own and to make them sharers in his Passover” (CCC, 1337). He gave us the Eucharist as the memorial of his death and Resurrection so the grace of his sacrificial love might be offered to all people in every time and place. All this he accomplished when he said to the Apostles, “Do this in memory of me” (Luke 22:19). 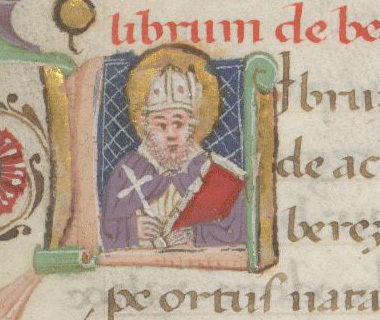 showing St Augustine as Bishop of Hippo. We have no theory of our own to propose here; listen, instead, to what Paul says about this sacrament: "The bread is one, and we, though many, are one body." [1 Cor. 10.17] Understand and rejoice: unity, truth, faithfulness, love. "One bread," he says. What is this one bread? Is it not the "one body," formed from many? Remember: bread doesn't come from a single grain, but from many. When you received exorcism, you were "ground." When you were baptized, you were "leavened." When you received the fire of the Holy Spirit, you were "baked." Be what you see; receive what you are. This is what Paul is saying about the bread. So too, what we are to understand about the cup is similar and requires little explanation. In the visible object of bread, many grains are gathered into one just as the faithful (so Scripture says) form "a single heart and mind in God" [Acts 4.32]. And thus it is with the wine. Remember, friends, how wine is made. Individual grapes hang together in a bunch, but the juice from them all is mingled to become a single brew. This is the image chosen by Christ our Lord to show how, at his own table, the mystery of our unity and peace is solemnly consecrated. All who fail to keep the bond of peace after entering this mystery receive not a sacrament that benefits them, but an indictment that condemns them. This is why it is so very important that we properly prepare ourselves to receive Holy Communion by making a thorough examination of conscience, making peace – insofar as possible – with enemies, and confessing what needs confessing. If we fail to do this, if we fail to be properly disposed to receive the Body and Blood of the Lord, we receive him in vain and bring judgment upon ourselves (cf. I Corinthians 11:29). Because the culture of these United States is drenched in an individualism which is quite contrary to the Gospel, we too often forget this important communal character of receiving Holy Communion (it’s a bit ironic, isn’t it? ); it is not simply about me and Jesus, but about me and you and you and you and Jesus; it is about us and Jesus. His love is formed in us to be shared with others. This is why Benedict XVI reminded us that “in sacramental communion I become one with the Lord, like all the other communicants.” We see this in the writings of Saint Paul: “Because there is one bread, we who are many are one body, for we all partake of the one bread” (I Corinthians 10:17). Union with Christ is also union with all those to whom he gives himself. I cannot possess Christ just for myself; I can belong to him only in union with all those who have become, or who will become, his own. Communion draws me out of myself towards him, and thus also towards unity with all Christians. We become “one body”, completely joined in a single existence. Love of God and love of neighbour are now truly united: God incarnate draws us all to himself. Let us, then, celebrate this great solemnity of the Most Holy Body and Blood of Christ with great reverence and devotion. Let us receive him with humble love and, just as the Lord changes our gifts of bread and wine into his own Body and Blood, let us ask him to change our gifts of ourselves into himself. If we make this prayer our own, his gifts of unity and peace will indeed be fully realized in us. Amen.